Why do hamstrings get so commonly tight? Hamstrings are commonly tight in many people, not just in runners – because just sitting too much of the time means the hamstrings shorten and adapt to that contracted length. What to do… Stand up more! If you have a desk job – stand, bend knees and fold forwards, with chest resting on thighs, gradually listing hips – do this several times a day. 2. Then there’s core strength. If your core strength is insufficient then the hamstrings will be trying to stabilise your pelvis, which is the job of the deeper abdominals and abductors!! This leads to over contraction of the hamstrings. What to do… Make sure you’re doing regular, targeted core strengthening. One of my favourites is the toes taps, as this also builds coordination and pelvic strength (not suitable if you have tight hip flexors though). Watch my 5 favourite core exercises here. 3. If you’re a runner, then a certain amount of hamstring tension is useful because we want them to be strong and powerful – however, too much hamstring tightness is going to limit the motion of the pelvis, causing flexion in the spine and loss of core stabilisation! And the Numero Uno consideration for runners should be good posture, which is maintained with core strength. Hamstring test on back – lie flat on your back, draw one knee in to your chest and hold behind the thigh. Slowly start to straighten – the leg should go up to at least 70 degrees, with only a mild stretch. If you can feel more, or the leg doesn’t want to come that high, then there is some work to do! take this position every day – bend the knee and straighten the leg several times, gradually straightening the leg a little more each time. use a strap to help keep the leg up, relaxed for around 3 minutes. Watch these strap exercises, plus more for the hamstrings, in this 17 minute video. If you’re aware of tight hamstrings, then now is the time to start doing something about it! Watch a video tutorial of this content in the latest video in the Yoga Flow Runners Facebook group, here. *If you have a hamstring strain or tear, don’t stretch it. Focus on eccentric contraction only, which I describe in the video tutorial. 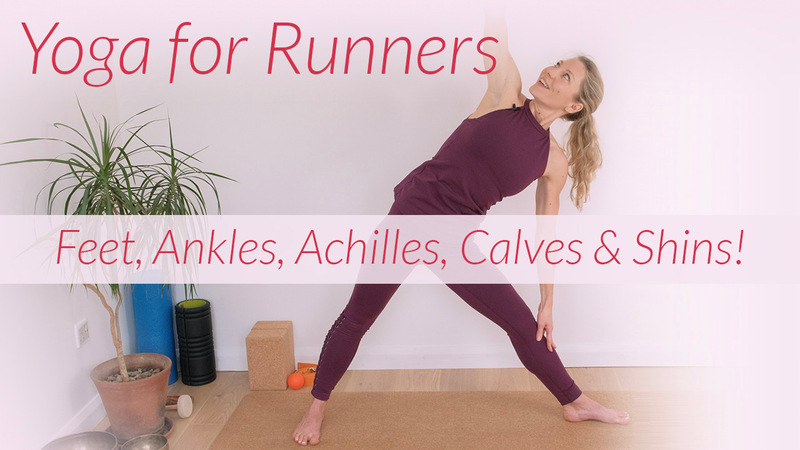 In this video I also discuss how many runners are running ‘quad dominant’, meaning the quadriceps are over-powering the hamstrings, leaving the quads too tight and the hamstrings too weak. This will be the topic of focus in the next blogpost! Musculoskeletal disorders, in particular back pain, are one of the leading causes of sickness absence. With an estimated to cost the UK economy of £15 billion a year, it’s no wonder that more companies have brought in yoga teachers to offer corporate yoga sessions. But if yoga practitioners have been found to have the healthiest spines, believed to be because we move the spine in it’s full range of movements every day, surely everyone can maintain a healthy spine with a regular yoga practice. A well rounded yoga practice will encompass all spinal movements, so it’s important to go to a weekly class and build up your daily home practice. Here are my top 5 poses though, that can be incorporated into a full practice, or done as a sequence on their own. They are intended for those with a healthy spine, if you have back pain, see a medical professional before practising yoga. In addition, try to do some targeted core strengthening exercises each day for 5-10 minutes – more on this here – as the most common culprit for back pain is core weakness. It’s also a great idea to lie over a couple of blocks for a few minutes each day, to release the front of the shoulders and chest – an area that can get really tight and impact your posture. See more on this area here. Such a simple and well known movement, you’ve probably done it many times in a class, but this simple action is a great way to combine easy flexion and extension of the spine. The flexing, when rounding the back, has a subtle core strengthening element to it, so really try to draw the abdominal muscles in towards the spine, helping to strengthen this area, whilst stretching out the back muscles. When extending the spine, by lifting the chest and the tail bone, keep broadening the shoulders drawing them away from the ears. This movement provides a great massage to the spine, giving you an awareness of your range of movement and opportunity to get the spine moving. Following on from warming the spine up in Cat/ Cow, you may be ready to take a gentle back bend posture. Sphinx requires less upper body strength than Cobra and Up Dog, so is a great back bending pose to do whilst acquiring more arm strength, and to spend a little longer in. Keep a gentle activation of the belly drawing in and the tail bone lengthening. Cobra can be practised on its own, or when doing Sun Salutations. From the floor, roll back the shoulders, roll up the chest as the shoulders draw back, finally lifting the head. Keep the sides of the neck feeling long, as you keep the shoulders down and away from the ears. Press the pubic bone down to activate the abdominal muscles and lengthen the tail bone, supporting the lumbar spine and creating space in the upper spine. Not only is this one of the best poses to build upper body strength, it also starts to strengthen the back. What we want is to build the strength of our spinal pillars, to support the spine from all sides. This pose is THE BEST for a healthy spine! It builds upon the back strength required in the previous poses. There are so many arm variations but this is my favourite because of the additional benefits to the shoulders. Start lying face down, with arms in cactus. Lengthen the legs back, press the pubic bone down to lengthen the tail bone. Lift from the back of the shoulders, drawing the shoulder blades towards each other, lifting from the heart. Float the legs up, keeping them straight and close together. Take 5 breaths and repeat once or twice more. After Salabasana, slide back to Childs Pose (Balasana). Roll up to take this lovely twist. I like this really gentle version. Depending on how you feel at the time can dictate how far you go into any pose but especially consider this when twisting. Sit tall by drawing the lower belly in the reaching through the crown of the head. Cross one leg over the other, with the low leg staying straight, or drawing the foot to the opposite heel, with both sitting bones level. Sitting up on a blanket roll feels great and will facilitate this. Move slow, use the finger tips to support you as you gradually twist to the same side as the top leg, keeping the height through the spine and the support of the belly. The head will be the last thing to turn if you are going towards the full expression of the pose, or you can choose to look straight ahead, feeling the pose work here on the lower and mid spine. This can feel a fantastic release for the lower back and is particularly good to do after back bends like those above. Also great post running. On your back, draw one knee in towards you, then across your body. Adjust your hips, so that you can comfortably relax the knee towards the floor – resting this leg on a cushion or bolster is a great option if the hips are tight. 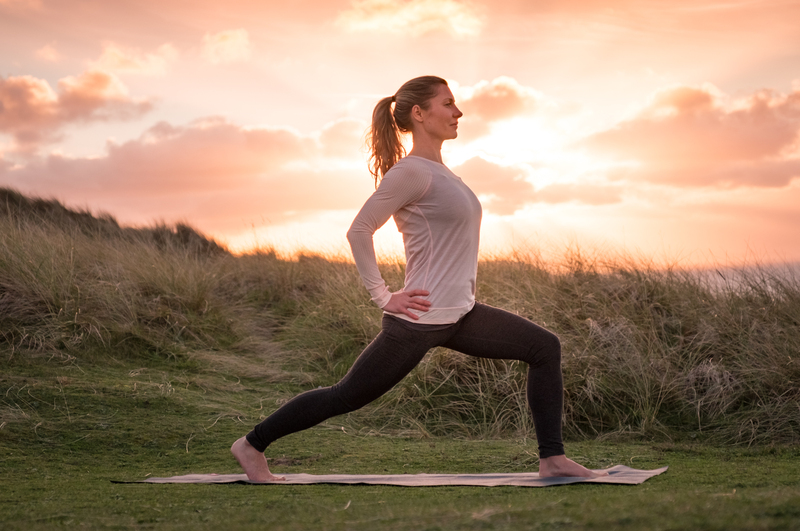 In this workshop, we’ll explore a range of different backbend postures, that effectively strengthening the back and lengthen the spine – potentially relieving back ache and improving posture. We’ll also work towards some more advanced asana in deeper backbends and how to come into them safely, respecting our individual bodies and looking at how they can benefit us physically and emotionally, as well as look great. This 3 hour workshop will involve strengthening work, Vinyasa flow and workshopping poses. Some yoga experience required. Not suitable for those with back injury/ complaint, as a one to one session is more appropriate.